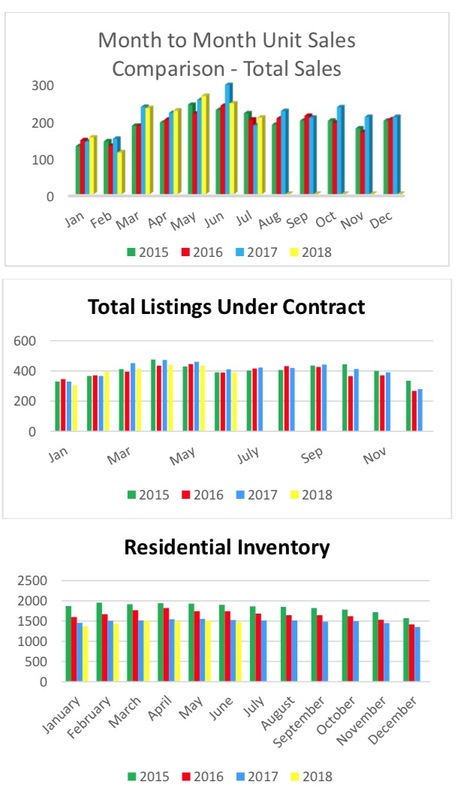 Residential sales are closing at about the same pace as 2017; however, total volume sold is up 5%, average sale price is up 6% and the median sale priceis up 4%. The number of Under Contract listings is staying about the same as 2017. 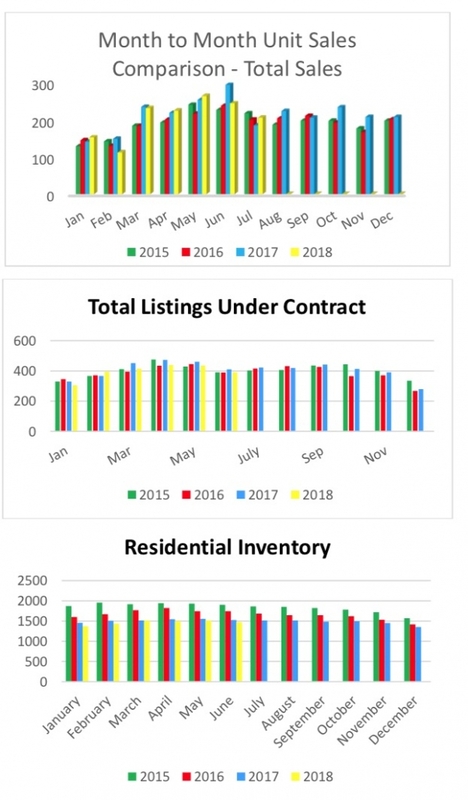 Inventory is currently running 3% lower than 2017.